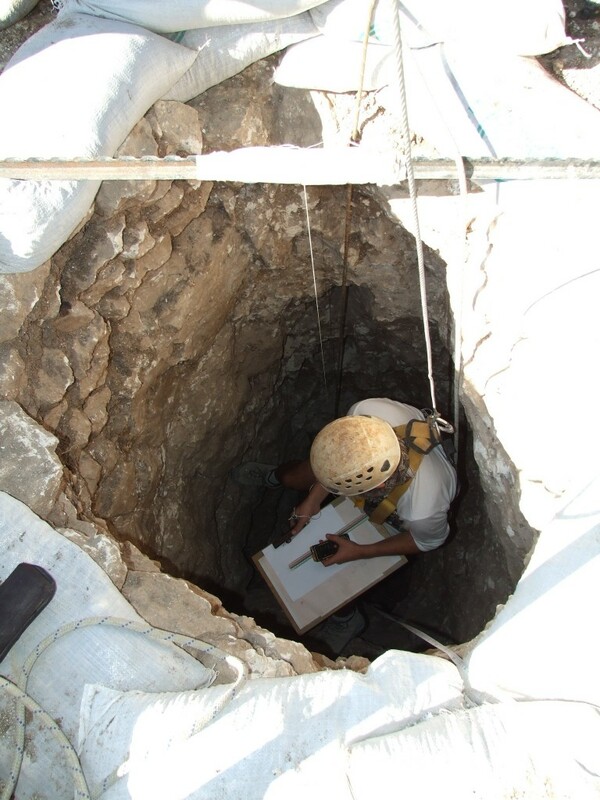 An Israel Antiquities Authority worker goes down into the well. Photographic credit: Yotam Tepper, courtesy of the Israel Antiquities Authority. One of the First wells have been discovered to the Stone Age: The Well was Used by the First Farmers in the Jezreel Valley. A Mystery Arose during the Excavations: What were Two 8,500 Year Old Human Skeletons Doing at the Bottom of the Well? The excavation was directed by the Israel Antiquities Authority prior to enlarging Ha-Yogev Junction by the National Roads Company. The well will be conserved and displayed to the public. A rare well dating to the Neolithic period was uncovered in recent excavations the Israel Antiquities Authority carried out at ‘Enot Nisanit’, along the western fringes of the Jezreel Valley prior to enlarging Ha-Yogev Junction (Highway 66) by the National Roads Company. Archaeologists estimate the well was built approximately 8,500 years ago. During the excavations the skeletal remains of a woman approximately 19 years of age and a man older than her were uncovered deep inside the well. How did these come to be in the well? Was this an accident or perhaps murder? As of now the answer to this question remains a mystery. According to Yotam Tepper, excavation director on behalf of the Israel Antiquities Authority, “What is clear is that after these unknown individuals fell into the well it was no longer used for the simple reason that the well water was contaminated and was no longer potable”. Tepper adds, “The impressive well that was revealed was connected to an ancient farming settlement and it seems the inhabitants used it for their subsistence and living. The upper part of the well was built of stones and its lower part was hewn in the bedrock. Two capstones, which narrowed the opening, were set in place at the top of the well. It is c. 8 meters deep and its upper part measures about 1.3 meters in diameter”. Tepper says, “Numerous artifacts indicating the identity of the people who quarried it – the first farmers of the Jezreel Valley – were recovered from inside the well. 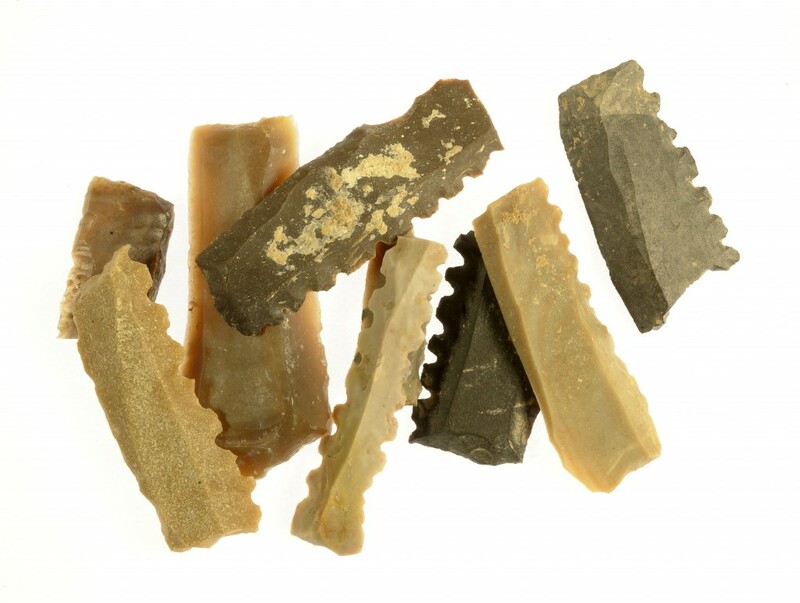 The finds include, among other things, deeply denticulated sickle blades knapped from flint which were used for harvesting, as well as arrow heads and stone implements. The excavation of the accumulations in the well shaft yielded animal bones, organic finds and charcoal which will enable future studies about the domestication of plants and animals, and also allow researchers to determine the exact age of the well by means of advanced methods of absolute dating”. The flint implements that were exposed during the excavation. Photographic credit: Clara Amit, courtesy of the Israel Antiquities Authority. “The well that was exposed in the Jezreel Valley reflects the impressive quarrying ability of the site’s ancient inhabitants and the extensive knowledge they possessed regarding the local hydrology and geology which enabled them to quarry the limestone bedrock down to the level of the water table. No doubt the quarrying of the well was a community effort that lasted a long time”, said Tepper. 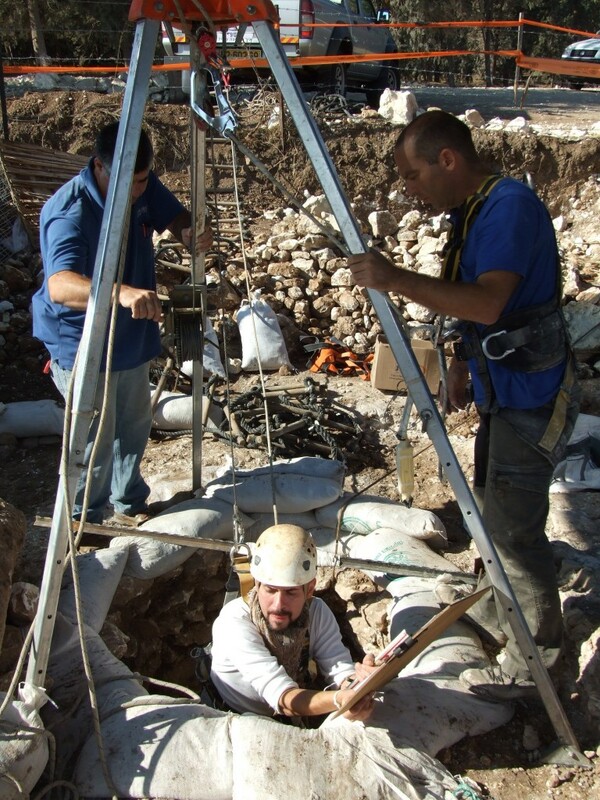 According to Dr. Omri Barzilai, head of the Prehistory Branch of the Israel Antiquities Authority, “Wells from this period are unique finds in the archaeology of Israel, and probably also in the prehistoric world in general. The two oldest wells in the world were previously exposed in Cyprus and they indicated the beginning of the domestication phenomenon: it seems that ancient man tried to devise ways of protecting his drinking water from potential contamination by the animals he raised, and therefore he enclosed the water in places that were not accessible to them. The wells had another important advantage: quarrying them provided access to an available source of water that was not dependent upon springs or streams. Another well, which is about 1,000 years later than those in Cyprus, was previously exposed at the Atlit Yam site in Israel, and another well from this period has now been exposed at the ‘Enot Nisanit’ site. The exposure of these wells makes an important contribution to the study of man’s culture and economy in a period when pottery vessels and metallic objects had still not yet been invented”. The Israel Antiquities Authority and National Roads Company will act to conserve the well and exhibit it as part of the sites around Tel Megiddo in the different periods.